Bzzzz…. Austin Spelling Bee Printing! 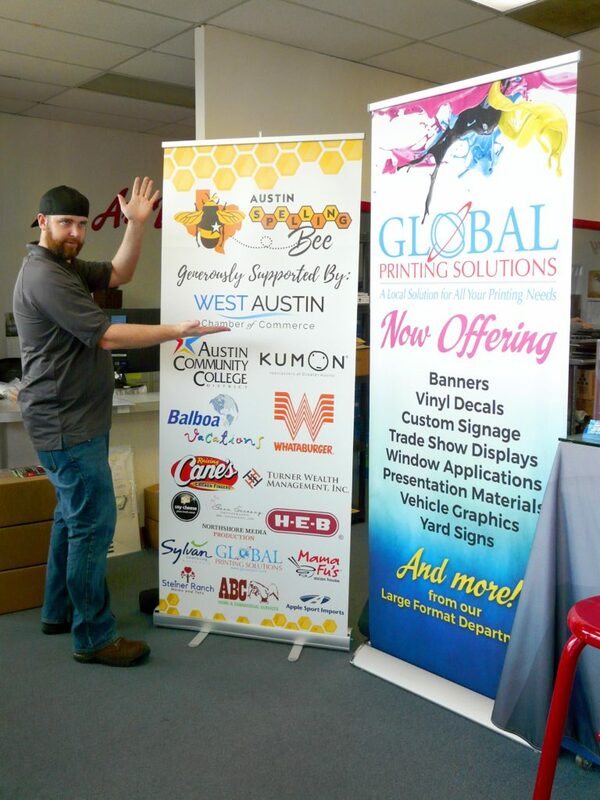 We had the pleasure of printing the banners, programs, and signage for this weekend’s Austin Spelling Bee, hosted by the West Austin Chamber of Commerce. It takes place Sunday, March 25th, from 1 – 3pm at the Topfer Auditorium. Come out and support the local kiddos as they sweat and spell the afternoon away! Pictured below is our fearless leader Chris with the pop-up banner we donated for the event. 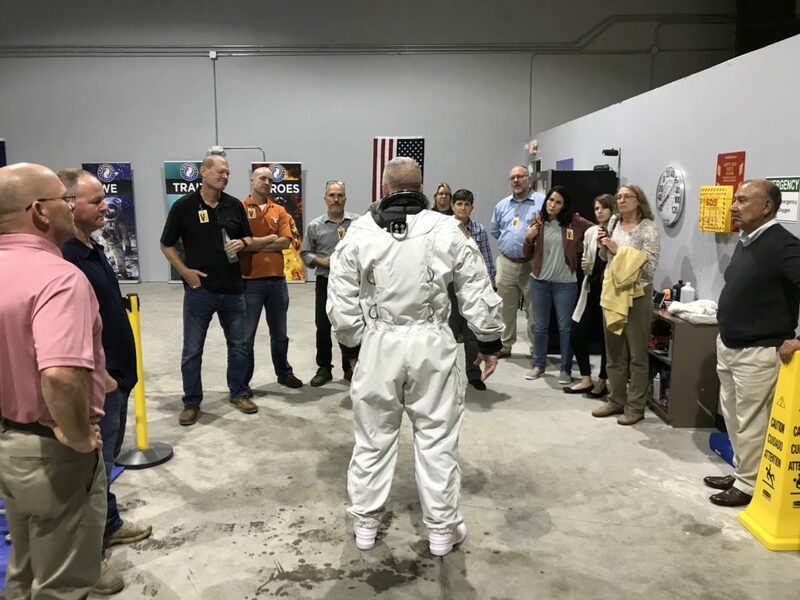 You may be surprised to know that all Global Printing employees must undergo rigorous training to perfect their posing and showcasing abilities, and Chris graduated top of his class. The man is a work of art, just like this awesome sponsor banner! We’ll see you at the spelling bee! By the beard of finance! Look at this fabulous pop up banner! 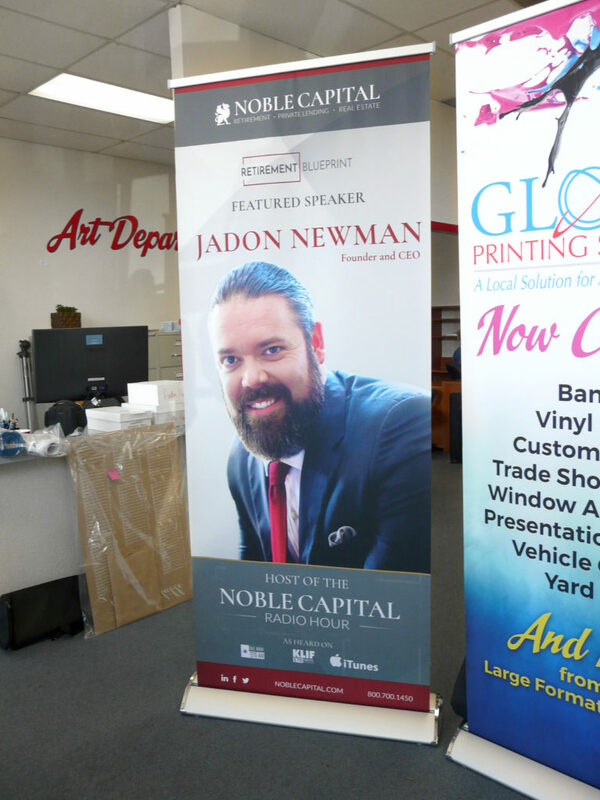 Put your best follicle forward when presenting the guest of honor at your next event with one or more of our vibrant pop up banners! Experience every detail in beautiful 300 dpi printing on soft and durable wrinkle free polyester fabric. 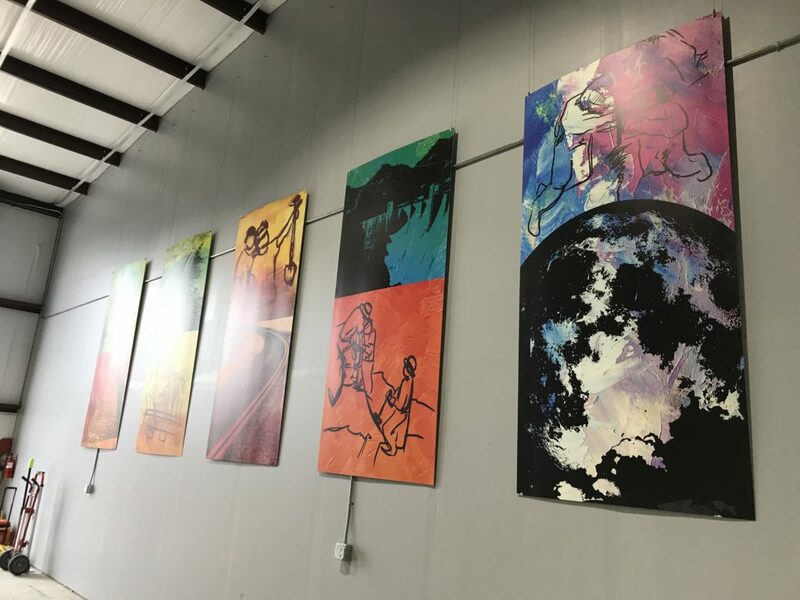 These lightweight banners go from convenient carrying bag to full display in 30 seconds! Perfect for traveling to trade shows, conferences, and more. 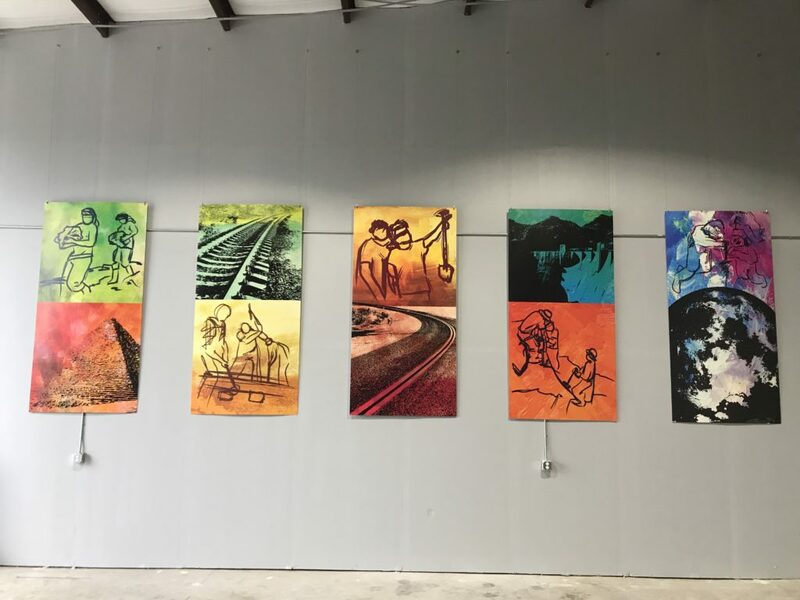 Contact us today to get your banner order started in time! You can learn more about our friends at Noble Capital here. 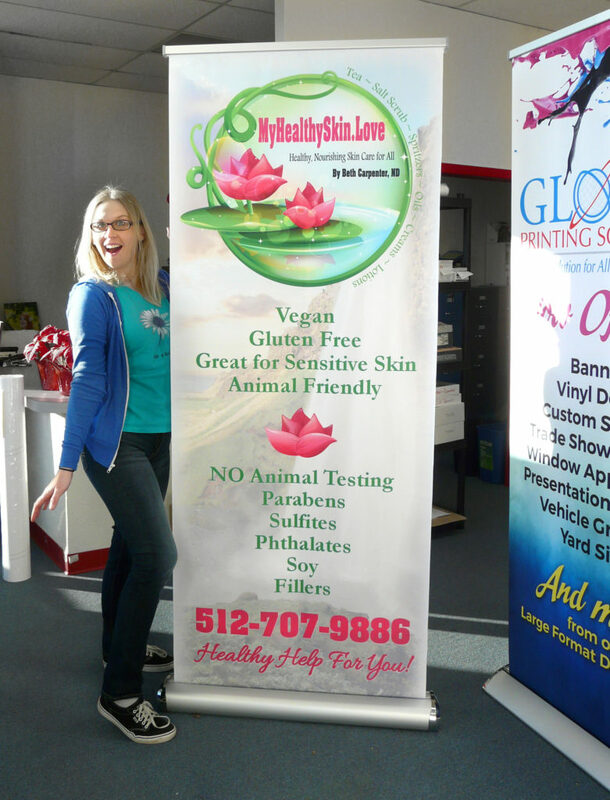 Amy just finished designing this pop-up banner and it looks so bright and colorful! Pop-Up Banners are such a versatile way of getting attention for your business. They collapse down into a convenient carry bag in about 5 seconds, and the fabric lasts and lasts. Contact us today about getting one of your own! Click this image to learn more about retractable pop up banners!